In my first semester at MIT, I learned how to design and custom mill circuit boards with embedded programming. While learning how to engineer these circuits, I became interested in embedding a symbolic layer of design to the PCB in addition to its electronic functions. 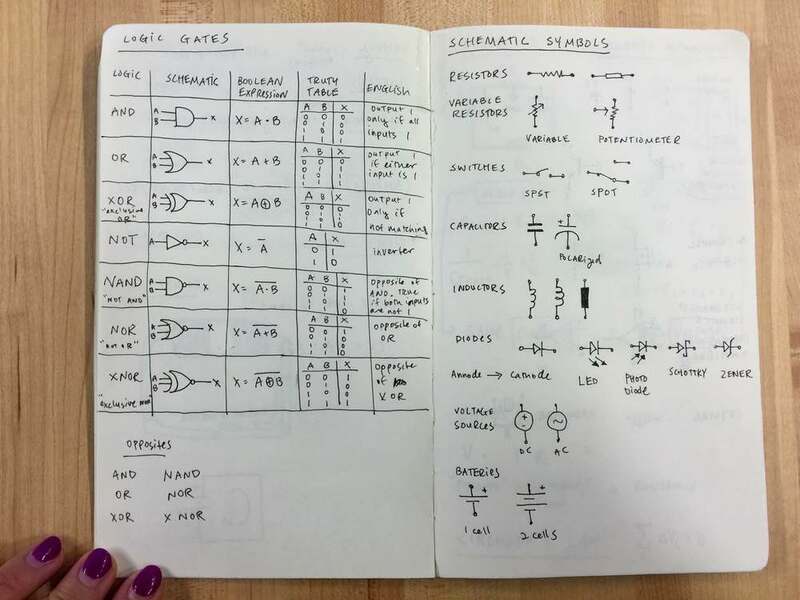 This was an intriguing exercise in layering semiotics, as electronics and logic gates have their own symbolic language. As I learned to mill my own circuit boards, I started making circuits with many custom designs. One is a portrait of my professor that winks when you touch the "FABrication" part of his brain. Another is a valve control board for fluidics that has design allusions to a heart. Another board is designed to detect your pulse through through your finger, and is illustrated by an eye sensing through a hand. 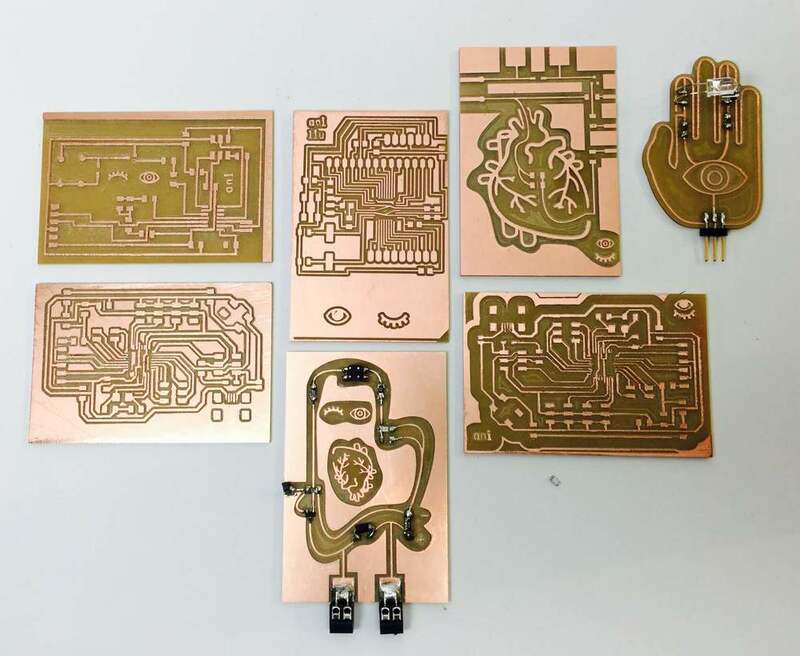 This set of circuits were part of a course called How to Make (Almost) Anything. You can look at the rest of the work I made in that class here. 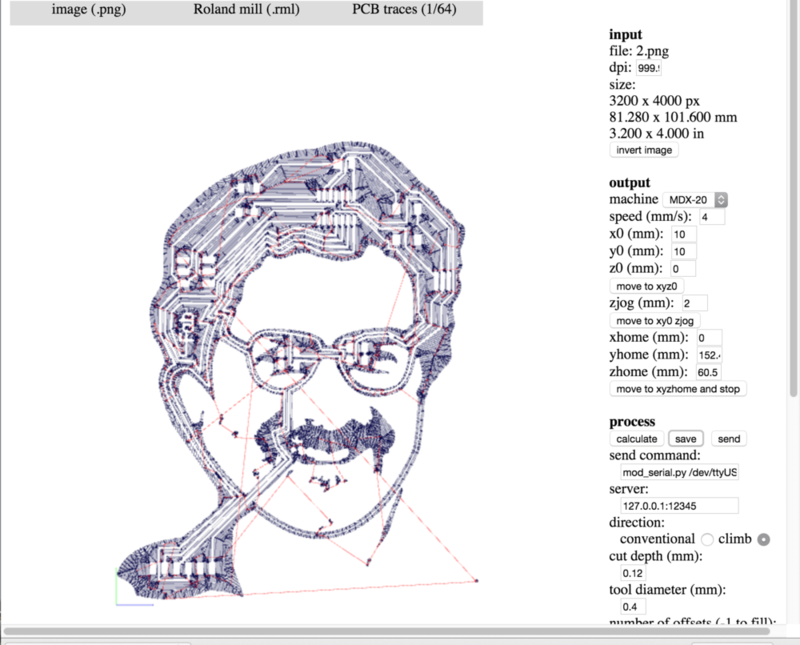 Portrait as a schematic, and schematic as a portrait. Followed by soldering each symbolic component onto the physical board to give it electrical function. The following images are more examples of circuits designed with embedded aesthetics. One is a valve control board for fluidics that has design allusions to a heart. Another board is designed to detect your pulse through through your finger, and is illustrated by an eye sensing through a hand. This is a circuit that measures your pulse with a IR LED and a photoresistor. When you put your finger between the LED and the photoresistor, it measures the change in resistance and measures your pulse. It "sees" your pulse through your finger, and as such, the circuit is illustrated as a "seeing" hand. This is a similar circuit that triggers valve control to the beat of your heart. The circuit is designed in the shape of an anatomical heart. This is a playfully designed breakout board for valve control. This is a collection of the embedded aesthetic PCBs that I have designed. dimensions variable, 2"x2" to 10" x 10"